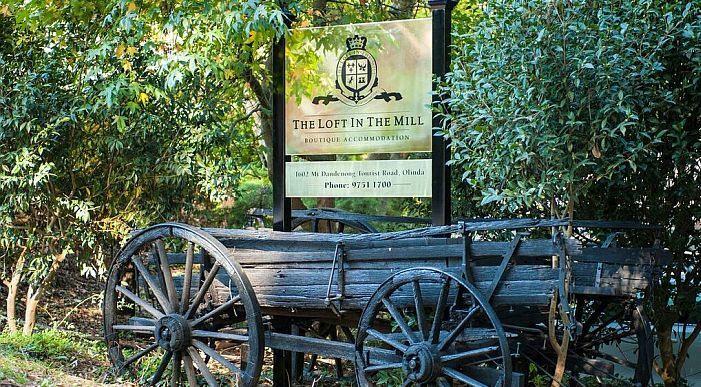 The Loft in the Mill is located opposite the Olinda Village in the tree-clad hills of The Dandenong Ranges. GPS Systems – Please ensure when entering The Loft in the Mill you specify MADE ROADS ONLY. If your machine does not have this facility, then please AVOID The Old Coach Road and remain driving on Mount Dandenong Tourist Road to Olinda. The Mill was created by replicating a 19thcentury English Flour Mill. Three floors of luxury with various size, shape and décor in each space. Features vary in each space. The Carriage House was created by replicating a 19thCentury Stagecoach stop. 30 square space with three generous size bedrooms, perfect for family or group of friends. Total room capacity 32 in total including both The Mill and The Carriage House. The preferred check in time is 2.00pm and check out at 11.00am. Our reception is open daily from 10.00am till 4.00pm. Should you be arriving after this time, please advise reception and we will give instructions accordingly. We do like to greet our guests upon arrival however on the occasions when you are checking in late, we are happy to make individual arrangements to suit your travel plans. We accept Mastercard, and Visa. Any payment made with American Express incurs a surcharge of 3%. The management of The Loft in the Mill reserves the right to charge the credit card of guests for any additional costs incurred eg: smoking in the rooms, any damage done to the property. We respect the privacy of our guests and provide you with sufficient towels and foods for the length of your stay. We do not service during your stay if it is shorter than 3 days. For people staying 4 or more days,we will service on the 3rd morning. This service includes removing rubbish, towel changeover, replenish wood and restock food supplies. This service does not attract any additional cost. For people requiring daily service, a $50 service fee is incurred for each day. Daily service includes, making the bed, dishes, changing towels and replenishing wood. Complimentary light breakfast provisions are in your room upon arrival. We provide free wireless internet access to all our rooms and suites. Telstra phone network is the preferred service for the mountain as other phone providers do not have the network facilities to be able to provide a service for you. Due to insurance liability, we are not permitted to provide transport for guests wanting to be picked up or taken to restaurants or wedding venues. Laundry Service is available through reception. This service incurs an extra charge. We are a fully licensed premises and provide a selection of local wines, Champagnes and Beers. Please see reception if you would like to purchase. All internal areas are smoke free therefore in the event that you do smoke, a fee of $200 will be charged to your credit card immediately. 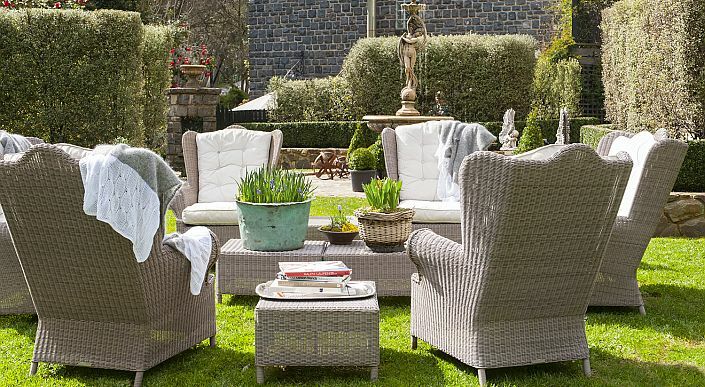 For those who would like to smoke, we have provided outdoor areas either private courtyards connected to your room or outdoor areas near your room. In-room massage treatments are available upon request from our professional experienced team. To ensure your requests are met, we require 24 hour in advance to book your appointment. We can arrange a selection of activities such as wine tours, hot air ballooning and tours of The Dandenongs, using carefully selected operators. Please advise upon booking if we can assist you in this. Special Packages have been created to enhance your stay.